Significant Price Adjustment of $124000!! Owner is Ready To Sell. This is A ONE Of A KIND CUSTOM ESTATE located in Chestnut Hill of Heathrow. WELL MAINTAINED BUILDER OWNED and ABSOLUTELY GORGEOUS. So much attention to detail custom woodwork and architectural details. One owner home with 5 bedrooms 6 baths bonus room with kitchenette and executive office. Most of the living is on the first floor. Grand entry with Porte Cochere and Fountain. This estate sits on a very private 1.10 acre lot in the highly sought after neighborhood of Chestnut Hill of Heathrow. 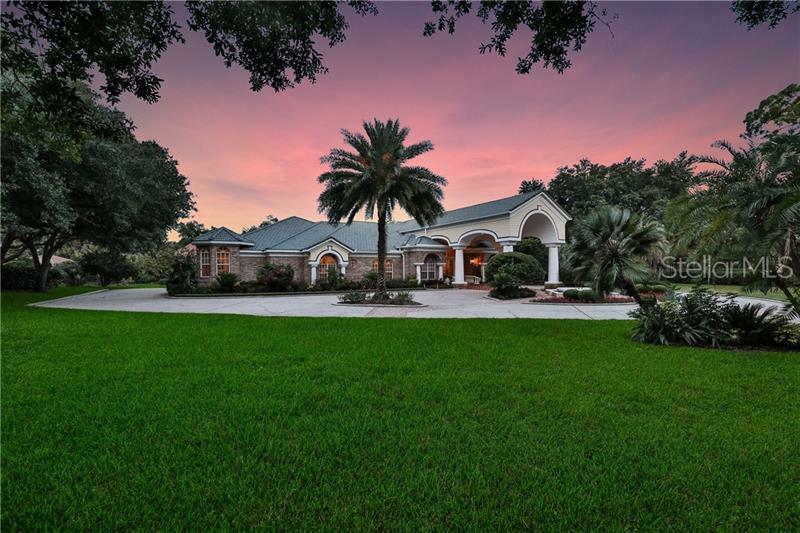 As you enter this home in the grand foyer with all the architectural detail and then your eye is drawn to the Amazing Outdoor Living Space with plenty of covered space for entertaining builtin gazebo with bar and outside summer kitchen screened lanai with spacious pool and spa with fountain. Large Master Suite is an understatement Fireplace and Weight Room. Master bathroom has just been completely renovated as of March 2018 with large grey porcelain rectified tile flooring separate vanities with quartz countertops new hardware and stand alone tub walk in shower 2 large walk in closets. Four bathrooms have been renovated as of March 2018 with new porcelain tile flooring quartz countertops and all new fixtures. New hardware throughout the home. Heathrow is a guard gated community. Close to restaurants shopping 417 and I-4 Access. Highly Rated Seminole County Schools. This home may be under audio and video surveillance. Amenities Additional Fees: Additional memberships available thru the Country Club to include golf, tennis, and social. Pet Restrictions: Contact the HOA for additional information.